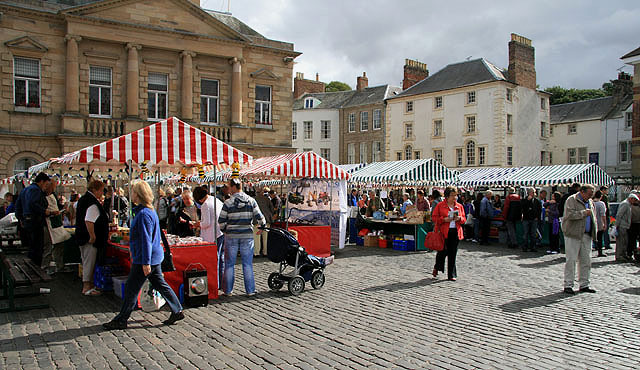 Normally held on the fourth Saturday of the month in Kelso Square from 9.30am till 1.30pm. Kelso Civic Week and pre-Christmas are different. With brand new stalls and up to 18 local producers attending the market each month, there is an outstanding range of fish, olives, fresh bread (continental and traditional recipes) scones and cakes, desserts, jams, honey, chutneys and preserves, Scottish cheeses and butter, free-range eggs, wide range of fresh vegetables, home-made ice cream, fudge and tablet, ciders, ginger wine, hand made jewellery, soaps and body care products , knitted and hand-crafted items, garden plants. Browse the market and chat directly to the producers, tasty samples are normally available. You’ll be leaving with a full bag and stomach! Rutherfords Micropub win Most Innovative Business Award! Date for your diary – Kirk Square Kitchen 2nd June! Art at Ancrum is coming on May 5th! Alchemy Film & Moving Image Festival comes to Hawick.